100 years ago this month, the United States joined the fight in World War I. 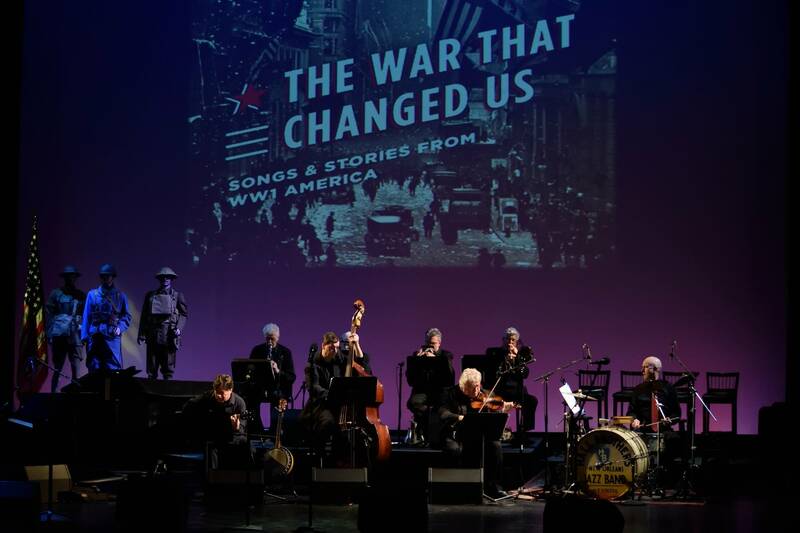 To commemorate the anniversary, Minnesota musician and writer Dan Chouinard created "The War That Changed Us — Songs and Stories of World War I America." It features an all-star cast of local performers. Part two includes songs, poetry and commentary regarding funding for the war, American troops fighting in Europe and what the world learned from the Great War. The show was presented April 7, 2017 at the Fitzgerald Theater in St. Paul. The show was produced by Minnesota Public Radio and the Minnesota Historical Society. Click here to listen to part one of the show. To listen to part two, click the audio player above. • How should World War I be taught in American schools?